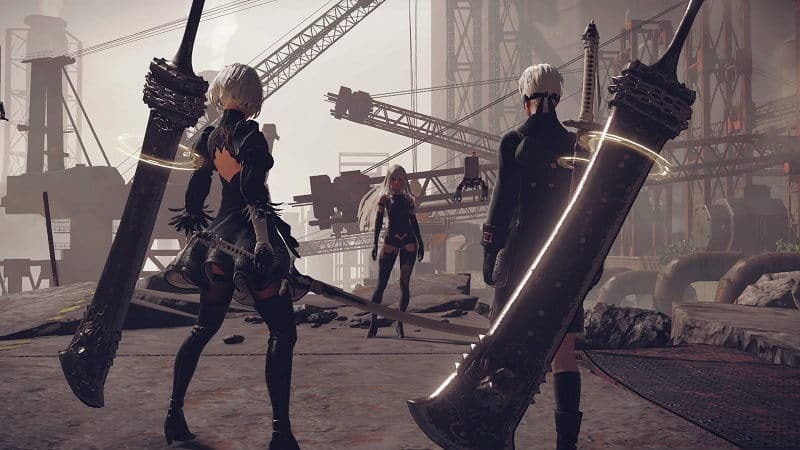 NieR: Automata has gathered a cult following, thanks to its amazing story, characters and gameplay. 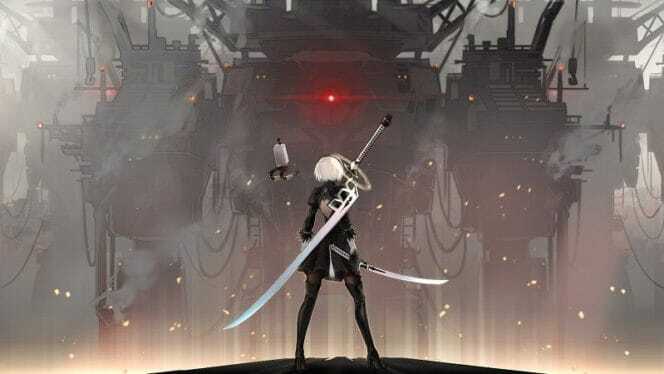 The game follows 2B, an android soley created to wage war against the malicious machines that have taken over the world. 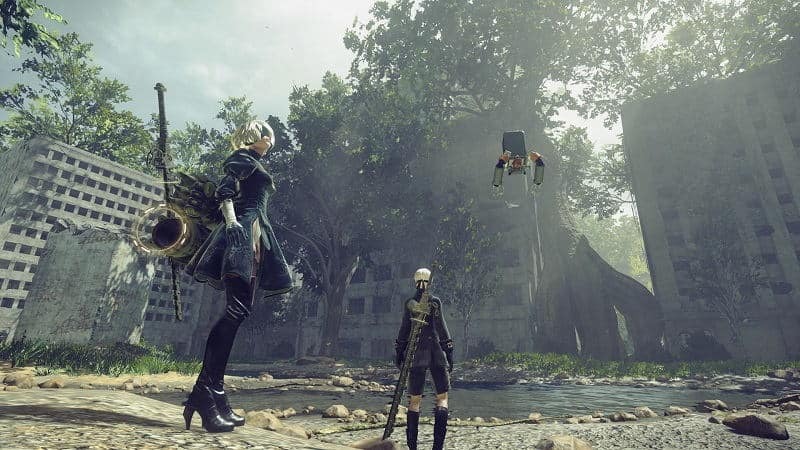 Developed by action expert PlatinumGames, Nier Automata features phenomenal combat mechanics that are arguably second to none. They have just released the “Game of the YoRHa Edition”, which contains the original game, DLC and loads of digital bonus content. There has never been a better time to introduce yourself to this brilliant IP. 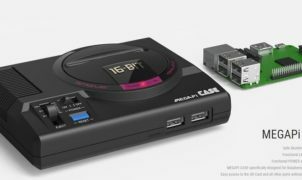 Let’s take a look at what gamers can expect with this feature rich package. 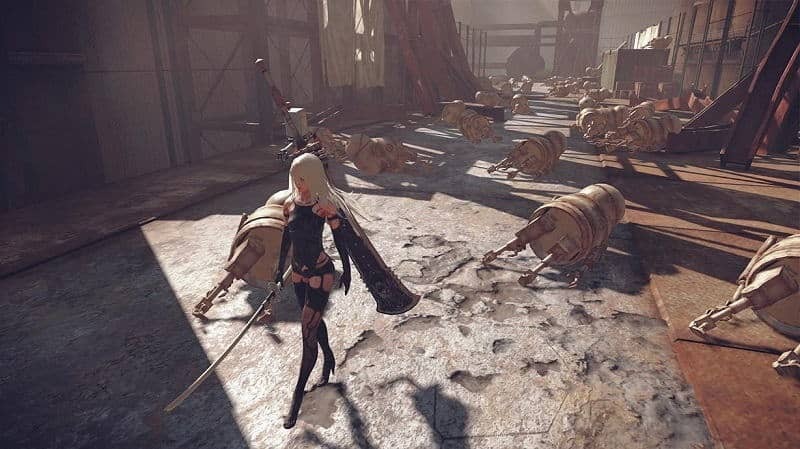 The world of NieR: Automata paints a dark and gritty setting. You’ll visit forgotten cities and kingdoms that demonstrate at one point in time humans existed and thrived here. 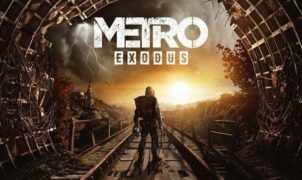 The post apocalyptic scenery indicates that humanity has been wiped out by some monstrous villainous force, which are the cold and calculated machines that you are tasked with hunting down. Beware though, they are stalking you at the same time as well. The game’s main protagonist (for Part 1) is an android known as YoRHa No. 2 Model B (better known as 2B). She wields small to enormous swords with great ferocity against the machines that have taken over the planet with extreme prejudice. She also has a companion named Pod 042, that deals out damage via rapid gunfire when she’s not close enough to extinguish the threats via her blades. A really neat feature found in NieR: Automata are Custom Chips. These allow actions to be automated, if players feel they need the game’s assistance during battle. Between the Custom Chips and setting a specific difficulty, you can really fine tune how challenging you want your play through to be. This level of gameplay customization should be in every game and makes the trip an enjoyable one, regardless of your initial skill level. 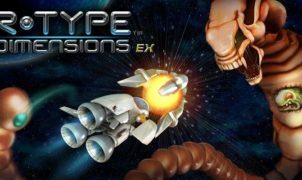 Prepare to face off against larger than life mechanical foes, all presented in brilliant cinematic fashion that make the action pieces feel like you are starring in a high budget Sci-Fi film. I love the varying camera angles, as it gives the game a really unique feel and look that is quite different from just about anything else out there. It will zoom out, then be above 2B or beside her during the action. It is constantly on the move and keeps the campaign feeling fresh and engaging at all times. The game’s presentation certainly has that magic PlatinumGames touch and this is without a doubt some of their finest work to date. 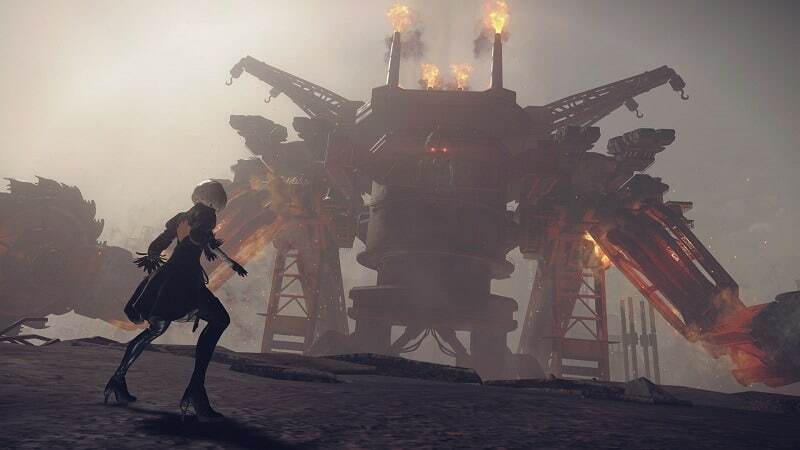 One of the biggest strengths found in NieR: Automata is the gripping story and the fact gamers have three campaigns to complete in order to fully flesh out the experience. Route A basically introduces players to the game’s characters, mechanics and the post apocalyptic planet that you are trying to save. Once you finish the first part of the game, Route B is waiting for you. You’ll be exploring the same world, but from different angles and perspectives. 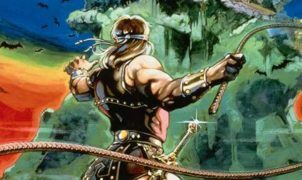 Your thoughts and feelings about certain areas of the game and its characters will change and develop as you complete this 2nd chapter. Reaching the third and final act (Route C/D)is absolutely worth the time and investment. 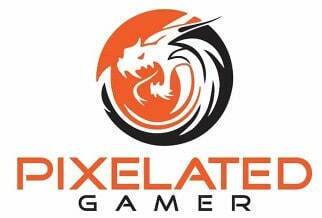 Gamers will be rewarded with a new story that is full of exciting lore and even deeper character development that brings the overall story to new heights and a final conclusion. This special “Game of the YoRHa Edition” comes packed with some great extras. 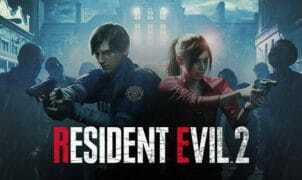 You’ll receive the game’s DLC titled 3C3C1D119440927. This updated opens up new areas and specific challenges. Some of these are on the insane level and reserved for only the most elite NieR players. Some serious bragging rights are on the table here for capable gamers. You’ll also be rewarded with some new cosmetics to prove your claims of victory. Beating all the challenges (Special Challenges not required) will gain players access to a new story that actually helps you see the game from the other side…the machines! Who saw that coming? Lastly, we can’t forget about the bonuses. For the Sony PlayStation 4, gamers will receive a ton of digital extras including: 15 PS4 Avatars, a Dynamic PS4 Theme and 6 Pod Skins. This is a great collection of goodies for the fans. 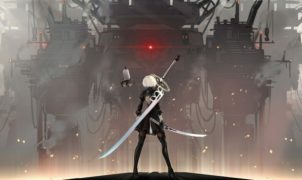 NieR: Automata Game of the YoRHa Edition makes one of the greatest games on the PlayStation 4 even better. It features an incredible amount of content for the price. 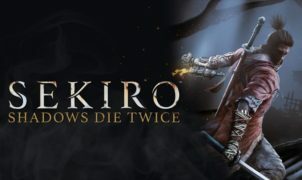 The story that is cleverly split across three campaigns and the DLC is truly incredible. PlatinumGames have delivered an experience unlike anything else available within the Action RPG Genre and it’s one no gamer should miss. 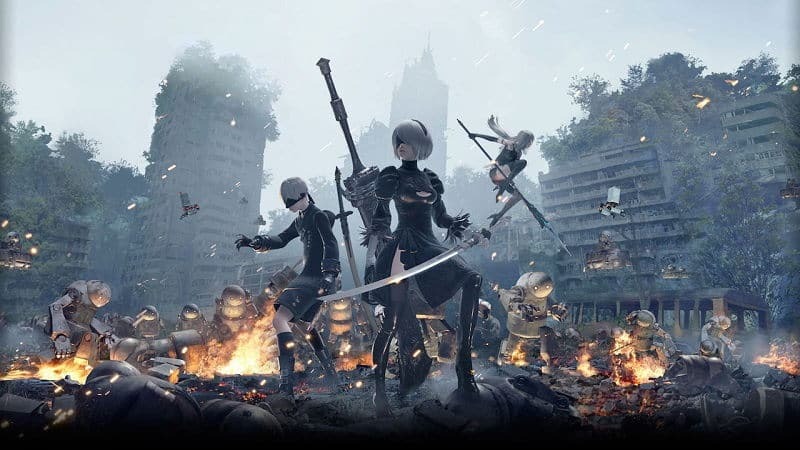 The NieR:Automata Game of the YoRHa Edition includes the game itself and comes packed with DLC and bonus content for the full experience of the award-winning post-apocalyptic action RPG. Not bad at all for the price. Especially if you have yet to play it. One of my favorite games this gen.
That’s cool it has multiple playthroughs with different angles on the story.